Ben Elton on his fascination with Shakespeare. Vanessa Kisuule reads a poem for the winter solstice. Plus is art becoming more political? 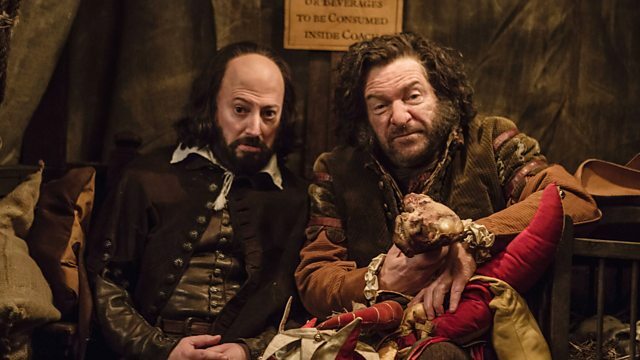 Ben Elton, creator of the iconic Elizabethan sitcom Blackadder II, talks about his fascination with Shakespeare, as Upstart Crow returns to BBC Two for a Shakespeare/Dickens mashup, A Crow Christmas Carol. He's also written the screenplay for All is True, a Shakespeare biopic starring Kenneth Branagh. Vanessa Kisuule reads her poem Describing Snow in the Aftermath, part of Radio 4's poetry day marking the winter solstice. As artist Olafur Eliasson installs melting ice blocks outside Tate Modern in order to highlight the dangers of climate change, Stig asks whether political art is becoming more of a call to action. With critics Jacky Klein, Jonathan Jones and artist Bob and Roberta Smith. And why has misery won out over cheer on Christmas TV in recent years? David Butcher investigates. Up Start Crow's Christmas special, A Crow Christmas Carol is on BBC 2 at 8.35pm on Christmas Day, and on the BBC iPlayer.